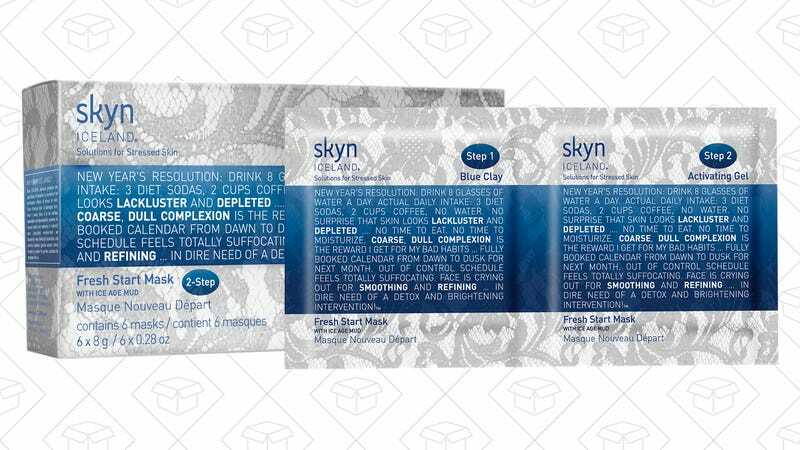 The skyn ICELAND Fresh Start Mask is one part science project, one part soothing mask, and it’ll make you feel like your skin is starting over. 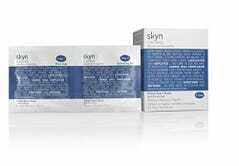 Applying the skyn ICELAND Fresh Start Mask takes a little practice to do well, but it’s worth it. The first step, the blue clay, is basically just a normal mask. But the acid fruit gel phase is much stickier than you’ll be expecting. When I picked my fingers up to apply it around my face, I was dragging strings of slime across my eyes and into my hair. Once you get their powers to combine though, the combination creates a really nice warming sensation that actually feels like it’s cleaning your skin. What the mask does best is rinse away the residue (which a lot of clay masks fail to do), leaving you with softer, cleaner skin that isn’t dry or tight. You’ll notice the difference after one use, and start getting compliments on your glowing skin after a couple sessions.